My regular readers already know that, and new readers I am crazy about collecting perfumes. I have a dream to have room full of perfumes from all over the world. I always try new perfumes. Last month I was browsing when I hit on website www.allgoodscents.com it was amazing to see huge collection of exotic fragrances in affordable price. Website offers wide range of perfumes. 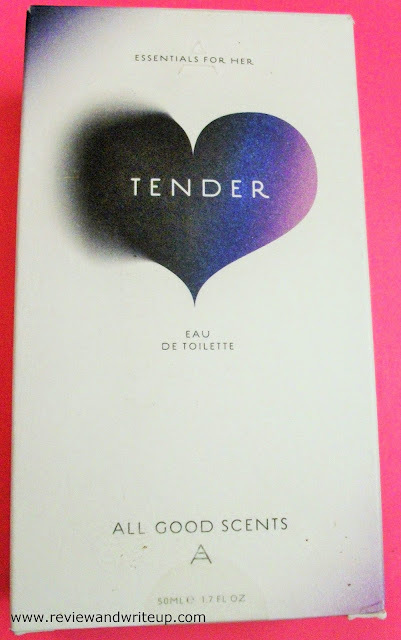 I got Tender Eau De Toilette for my collection. This month Tender Eau De is my favorite scent. About the Product - Tender Eau De Toilette is one of the scents from vast collection of allgoodscents. Its fragrances are created in France and product is made in India. Packaging - Tender comes in a creamish cardboard box. Once you open the box you will see the shining silver color cap and then glass bottle of perfume. The bottle is made of strong see through glass which is filled with golden color scent (color of whisky) . 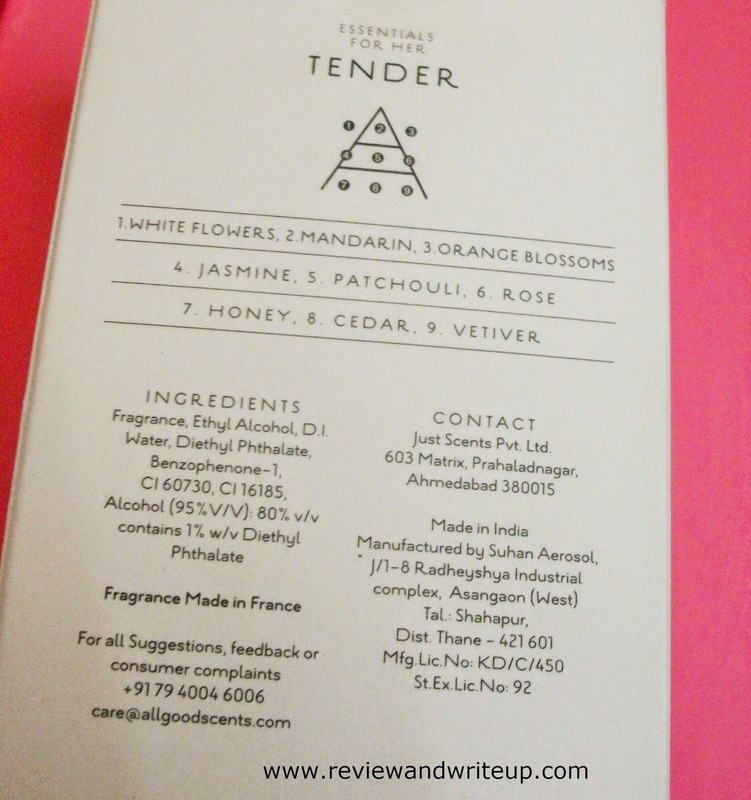 My Experience With the Product - Tender scent is a blend of floral scents white flowers, mandarin, orange blossoms, jasmine, patchouli, rose, honey, cedar and vetiver. I am fine with any good scent whether its strong or mild. When I applied this perfume for first time my first reaction was this is strong. Then within ten minutes the scent settles down and then it doesn't feel strong at all. Rather it gave me soothing effect of flowers. As its blended smell so I felt for one second I am wearing jasmine and another I am wearing rose or honey or cedar. It was awesome. In hot and humid climate like we have here in India floral scents are like a blessing. If I have to stay inside house a little perfume lasts for eight to nine hours. If I have to go out say I have to go to office using public transport then it lasts for two to three hours or sometimes even four again it depends on my exposure to sun. This scent doesn't leave any marks on clothes and even people around you will ask which perfume you use. If you have to go out carry in your bag and stay fresh all day. It's packaging is travel friendly. You can also gift this to your friends, family. Its afforable as well and sounds premium as well in a way. The fragrance is of International Standards. R&W Recommendation - Girls time has come to buy new perfume, ha ha. Its really good perfume that you would like to wear every day.